Gone are the days when watches are just used for the purpose of seeing time only. Now we all live on technology, people are smart and so are the watches. They now perform more functions than just telling the time. 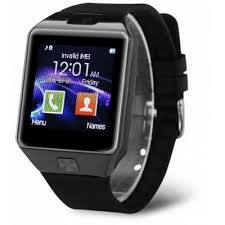 Nikos – a Corporate Gifting Company is here to offer a wide and versatile range of Smart Watch In Pune Mumbai. These watches are capable of doing what a Smartphone can do. Their day by day rising demand proves the success of these watches and how much people liking them. Being the top-notch Health Bands Suppliers In India, we bring in the latest collection of designer watches that you can pick to match your attire or to gift someone special in your life. It is also a perfect gift that you can give to your clients and it will surely raise your image or reputation in their eyes, which is good for your brand. Notification Directly On Your Wrist: With Digital Smart Watches now you are able to get notifications directly to your wrist and you don’t need to check your phone over and over again. It will save plenty of time and ease the work of checking if something is important. Social Etiquette: Checking your phones over and over again can be rude and ruin your image in front of anyone, but wearing a smart watch can save it. This is because Bluetooth Smart Watch is directly connected to your phone and helps you do most of your task on your wrist. Fitness: These watches are smart enough to perform a number of activities and one of them is keeping the record of your health. It helps you count a number of steps you have taken in a day and calorie count as well, which manage your health in a good and easy way. Place your order for Waterproof Smart Wrist Watch now and be ready to flaunt your style to the smart world.